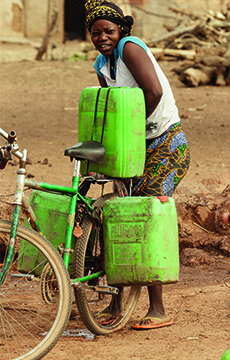 * 3 bricks to build a center for analphabetic women in Burkina Faso! 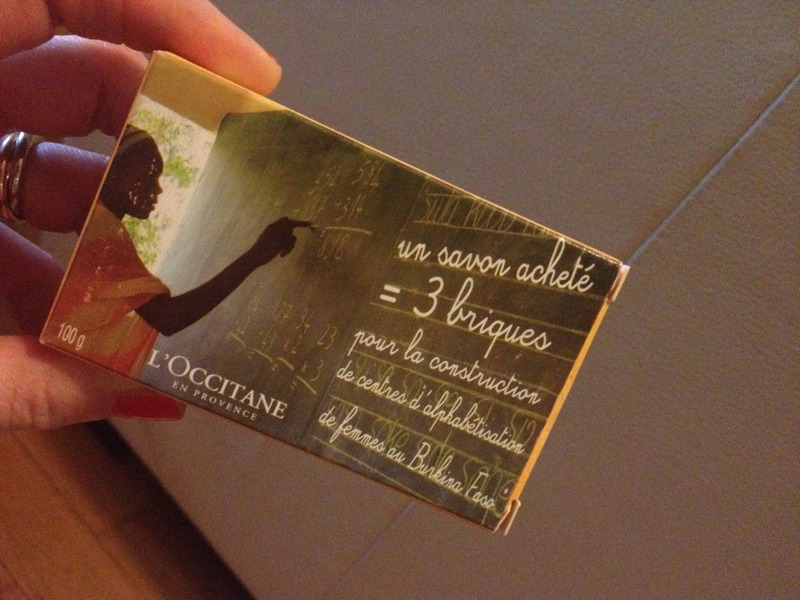 “The L’OCCITANE company works with women producing shea butter since the 1980s with an objective of co-development. In 2006, the L’OCCITANE Foundation has chosen to build on this partnership with the women of this country by focusing its activities on supporting women’s entrepreneurship, which today is the most appropriate way for their empowerment and economic emancipation. 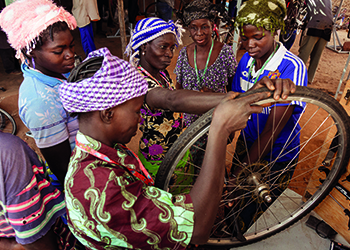 Through its actions, the Foundation acts on three pillars: It promotes the acquisition of basic skills and knowledge by supporting literacy programs, it provides financial and technical support by microcredit programs and trainings of income-generating activities. Finally, it promotes entrepreneurial actions and allows scaling up with support for the creation and development of small businesses. The pattern on the soap was designed by Sougouri Sawadogo (designer from Burkina Fao) and picks up the traditional way of coloring mud also called BOGOLAN, which means EDUCATION! 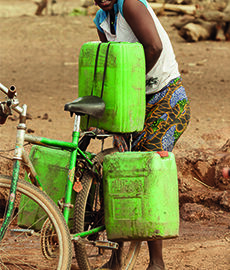 BUY A SOAP AND HELP THE WOMEN IN BURKINA FASO!